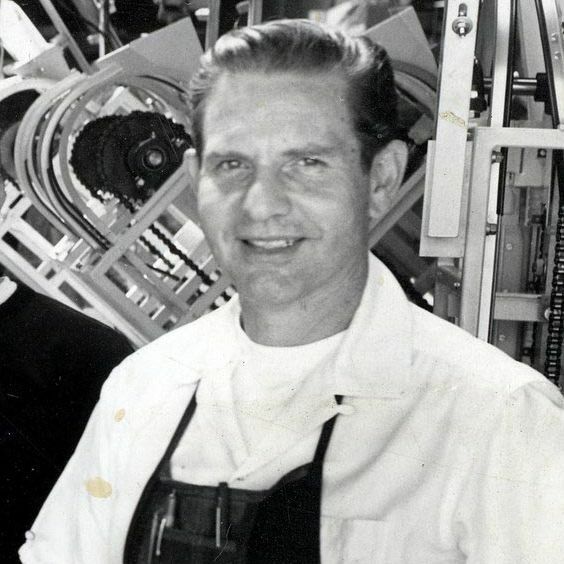 Daniel Thompson, the California inventor who created the automated bagel machine and changed breakfast in America forever, died this month at the age of 94. Though not everyone looks on his legacy kindly, his effect on American food is hard to overstate: The 1958 invention of the Thompson Bagel Machine industrialized what had until then been a somewhat obscure ethnic bread, vaunting it to the status of a national obsession. Before Thompson, bagel baking was controlled by the International Beigel Bakers Union. Membership was limited, and bagels could only be found in strong Jewish communities — and even there in limited supply. With Thompson’s machine, bagel-making exploded. Whereas a trained bagel-maker could roll some 120 bagels in an hour, the Bagel Machine allowed anyone to churn out an impressive 200 to 400 dozen. New York’s Local 338 bakers’ union counted 300 members among its ranks; Thompson estimated in 1993 that there were 200,000 of his machines in use; and thanks to Thompson’s invention, Lender’s, which pioneered the frozen bagel, is able to produce some 750 million bagels a year. NYT obit:Daniel Thompson, invented bagel making machine & has a lot to answer for at the Pearly Gates if anyone up there knows real bagels. Not everyone, though, sees the invention in such a negative light. Handmade bagels in New York are experiencing a major boom right now, and people across the country still obsess over “real New York bagels” (even if they aren’t always the real deal). But the thing is, bagels spread across the country exactly because of Thompson’s machine, even if they suffered for it, and escaped the fate of the bialy, which nearly died out and has never been more than a niche item. And yet, perhaps someone, inspired by today’s new crop of top-notch bagels, can create an automated machine that produces a better, crustier bagel.